Elevated floors. Low-thermal mass materials. Insulated walls. Roll-off roof. 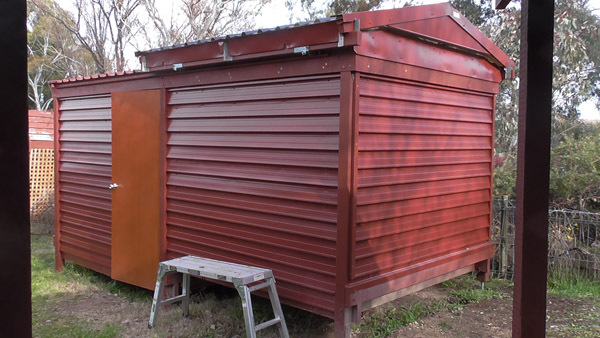 The wheels of the roll-off roof are contained within garage door rails that run the length of the longest side walls. See more pictures below. Rolling roof built inside my garage. Wheels are mounted under the treated pine rails along each side. 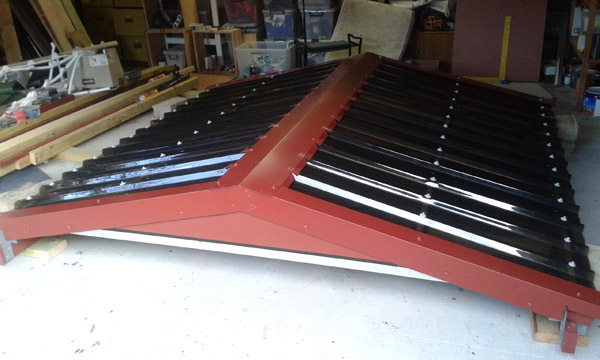 Roof sheets are high impact polycarbonate exhibiting 50% solar heat rejection and 25% light transmission. Sheets resist hail to 1 inch diameter. Metal flashing is 0.35mm BMT steel. 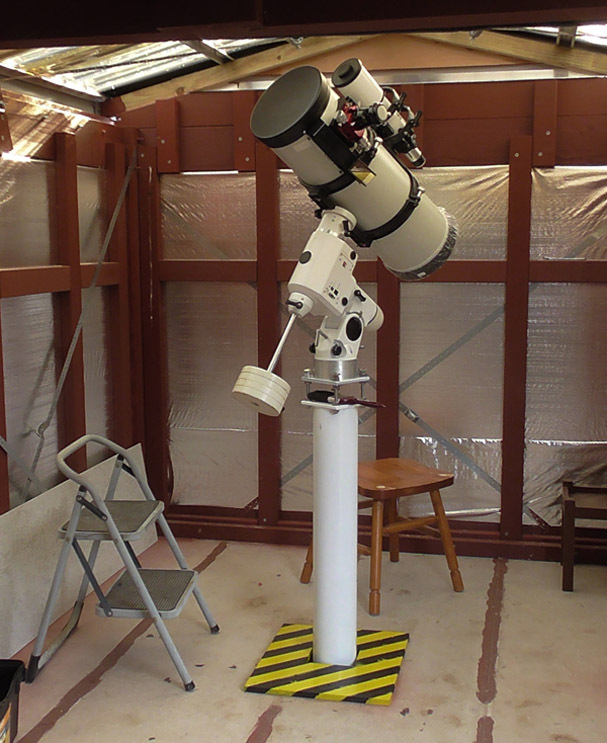 Picture taken from the lower deck showing the upper deck floor and the mounted telescope. An 8-inch Schmidt Newtonian reflector rides on an EQ-6 mount attached to a 5 inch steel pipe that is bolted via a welded footplate to a 500 kg concrete footing that extends 1 metre into the hard clay subsoil. The pier does not touch the floor in any place so you can walk around (or jump) without causing any vibration in the scope. All images and content of this website are copyright (c)2005-2015 Bill Christie. All rights reserved.